BONA Pharma has introduced a new oral sprayer — the J# actuator. The J# actuator benefits from a long applicator that makes it ideal for throat and mouth medicine spray delivery. Comprised of PP, PE and stainless steel material, the oral sprayer packaging is compatible with and safe for both food and pharmaceutical usage. BONA Pharma's J# actuator fits to different neck sizes and closure types including: GL18, 18DIN, 18/410, 18/415, 20/410, 24/410, 20mm snap on, and 20mm crimp on. The pump dispenses precision dosages of 50mcl-220mcl per actuation. The oral sprayer also has a dust cap available to cover the sprayer and prevent the pump from being primed accidently while not in use. The J# actuator oral sprayer can be produced in a customized color and matched with bottles of various capacities. The packaging is produced in a class 100,000 clean room manufacturing facility that ensures product hygiene and safety. The standard specification allows it to be produced in existing capping production lines. The lastest offering available from BONA Pharma's packaging catalog is an 18mm tamper evident (TE) closure with a screw-on neck finish. Comprised of PP, PE, and stainless steel components, the closure is safe and compatible with food and medicine. It can fit an 18mm pump with a precise dosage of 50mcl-220mcl per stroke. BONA Pharma introduces a 1ml Polypropylene (PP) dropper with a silicon bulb into its catalog, that can be used for food or pharmaceutical applications. The PP pipette incorporates liquid measurement markings for the user to control dosage, making the dropper a perfect, safe solution for dosing small quantities of liquid, such as oral medicine. BONA Pharma Introduces its LF Actuator with Fixed Applicator that is perfect for Ear, Hair and Mouth Medicine Sprays. Composed of PP, PE, and stainless steel material, the packaging is compatible and safe for food and pharmaceutical applications. Bona Pharma introduces a new enema bottle with a tamper evident closure and applicator. Made in LDPE, the squeezable bottle is a safe and perfect packaging design for food and pharmaceutical applications. The botttle is customizable offering liquid measurement markings that are easy for the consumer to read and according to prescription dosage. After obtaining the Chinese patent for a new design of child resistant nasal pumps, Bona received the patent certificate from the Korean Intellectual Property office on January 24, 2017. After obtaining the Chinese patent on April 15, 2015, Bona received the patent certificate from the United States Patent and Trademark office on Oct. 12, 2016, for its preservative-free nasal pump which was independently researched by the firm. Bona Pharma has created a new dosing pump for a major international brand, to be released soon. The pump offers a crimp-on neck, and a consistent 140mcl per spray. The new pump was created to offer consumers an excellent usage experience, thereby driving results for the firm. Bona has obtained a lear DMF number for its popular range of solid oral HDPE bottles, udeful for a wide array of pharmaceutical applications. Bona has just started production of a metered dose fine mist sprayer with 20mm crimp on finish for breath freshener sprays, skin sprays, and more! 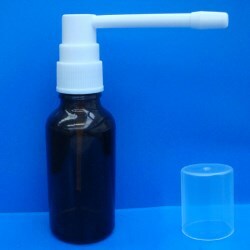 This is an ideal product for pharmaceutical sprays as well as personal care sprays that require a clean, fresh spray. Bona has launched a new dosing spray pump, a pump without components made of POM. It’s suitable for iodine sprays, and can be matched with all kinds of Bona actuators, likes nasal or oral sprays, or topical actuators. With 20 years’ experience in the pharmaceutical packaging trade, Bona maintains its leading position, relying on its spirit of continuous innovation and perfection. Bona has recently released a line of novel crimp-on oral sprays that offers excellent dispensing, spectacular dosing, and perfect visual appeal, especially designed for oral treatments. With nearly 20 years of experience in developing, manufacturing, and marketing a variety of pharmaceutical dispensing systems worldwide, Bona has launched a new patent product, a child resistant nasal spray bottle which has been designed specifically for nasal sprays which include imidazolines, according to the new regulation voted in by the US Consumer Product Safety Commission (CPSC). Bona's 40ml HDPE bottle is best suited for capsules, pills and lozenges. The accompanying tamperproof screw cap is made of pharma grade PP material and is quick and easy to remove, yet simply can't be opened by toddlers or small children. All products are always manufactured in Bona's modern class 100,000 clean room, complying with GMP standards using advanced production facilities and inspection equipment. 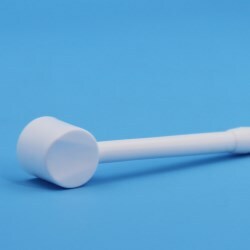 Bona Medicinal has recently launched a new product, the "15ml PE bottle with D-type nasal spray pump" which offer a simple way for consumers to dispense the perfect amount of nasal solution with an incredibly fluid pump action that's as easy to use as it is effective in delivering medication. Bona Medicinal is one of the Asian regions primary sources for pharmaceutical packaging, and a trusted international player in the space. The company has released a series of squeezable droppers perfect for a number of pharmaceutical applications. Ranging from 5ml to 10ml, with plugs and caps for all sizes, the bottles are made of LDPE with a squeezable body and a ratchet screw neck, suitable for temper evident caps, adding security as well as convenience. Bona Medicinal specializes in the R&D and manufacture of plastic packages for medicine. Bona's primary focus is on providing quantitative mist sprays, accurate drug delivery, and optimized containers for formulae. The company's new DIN 18mm pump sprayer is one of Bona’s star products, with a deep, screw-on closure that's especially suitable for glass bottles. Well known as the world’s leading supplier of medicinal packaging and complements, Bona has launched a new actuator top with a small and fixed configuration. It is the only sprayer of its type available which is especially designed to be paired with 18mm screw on neck glass bottles. The actuator is perfect for treatments related to ear maladies as well as for topical spot treatments. Bona, a high-tech enterprise located in Shenzhen, China was founded with the goal of providing excellent product solutions and customized drug delivery systems. The thin nozzle format of the firm's new pump sprayer line was designed in response to client requests, based on market research and trends in the contemporary pharmaceutical packaging market. Bona Medicinal is one of the leading manufacturers and exporters of spray pumps and bottles for pharmaceutical packaging in the Asian region. The firm has recently launched a line of crimp on nasal spray pumps with excellent dose accuracy and very easy priming. Long considered an innovative source of pharmaceutical packaging for the Asian region as well as for international distribution, Bona has released a new snap-on dispenser designed for nasal spray applications. The new pump makes it easy for companies to integrate into existing lines and offers efficient, metered dispensing of pharmaceutical products. Bona, headquartered in ShenZhen, China, is one of the world's leading suppliers of medical packaging and complements. The firm has launched a line of single dose dispensers for pharma products that offer an easy to use solution for eye drops, oral medication, and more. Bona, headquartered in ShenZhen, China, is one of the world's leading suppliers of medical packaging and complements. Recently, the firm has launched a series of small airless pump containers that offer a viable solution for small dosage pharma creams, which could also be used in other sectors, including the cosmetic and personal care spaces. The containers feature an incredibly high tolerance for dosing strokes, coming within +/- 10% of microliter volumes. Bona, one of Asia's leading suppliers of medical packaging and complements, has just launched a range of tablet bottles for the pharma industry that incorporate an incredibly sturdy locking mechanism into the living hinge flip top cap. The item is best for adults or professionals that require something quick and easy to get to that simply can't be opened by toddlers or small children. Bona, recognized worldwide as an innovator in the field of pharmaceutical packaging, has released an extended line of vaginal applicators. 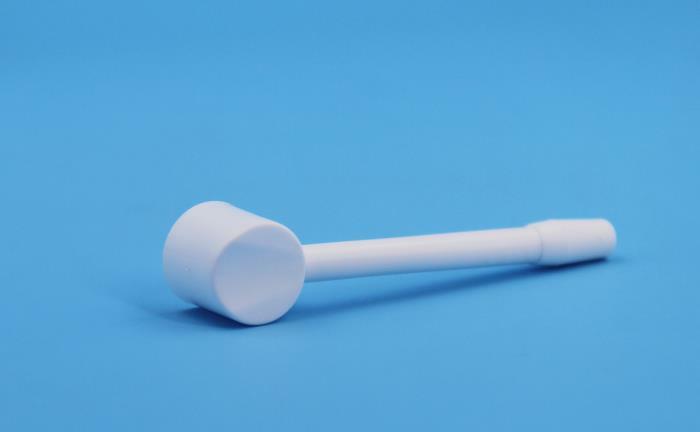 The new applicators are designed to provide the direct delivery of medication for female patients that require a more effective delivery method than an oral solution may provide. Bona, headquartered in ShenZhen, China, is one of the world's leading suppliers of medical packaging and complements. The firm has launched a line of long-neck sprays that offer excellent dispensing and perfect dosing, designed for throat sprays and other treatments that require extremely precise targetting.